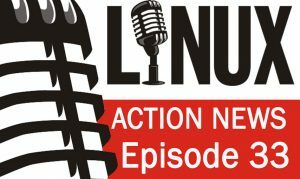 Chris and Joe look back at the big news stories of 2017, some notable trends, the changes that impacted Desktop Linux users & the topics that dominated the community discussion. Arch Drops 32 bit — The decision means that February ISO will be the last that allows to install 32 bit Arch Linux. The next 9 months are deprecation period, during which i686 will be still receiving upgraded packages. Starting from November 2017, packaging and repository tools will no longer require that from maintainers, effectively making i686 unsupported. Tails 3.0 will require a 64-bit processor — We have waited for years until we felt it was the right time to do this switch. Still, this was a hard decision for us to make. Ubuntu 17.10 Will Drop The 32-bit Desktop ISO — There will no longer be any “ubuntu-desktop-i386.iso” produced. There is no longer any effective QA or testing being done on the Ubuntu i386 desktop image on actual 32-bit-only hardware. Munich voted to return to Windows — Munich city council’s administrative and personnel committee has decided to move any remaining Linux systems to Windows 10 in 2020. Bitcoin Forked — It was created by Bitcoin supporters worried about growing congestion in the mainstream bitcoin network that has led to slow payment processing and high fees. Bitcoin Cash removes an important technical obstacle that has hampered the growth of the mainline Bitcoin network. In principle, that could allow Bitcoin Cash to become more widely used—and hence more valuable—in the long run. And Forked Again — The trouble began earlier this year when a group of cryptocurrency upstarts cloned Bitcoin to create their own version, called Bitcoin Cash. The split, called a “hard fork,” came after a long and acrimonious disagreement about how to get Bitcoin to handle more traffic failed to resolve amicably. Now, another group of Bitcoiners wants to create yet another version of the world’s most popular digital money on October 25. They’re calling it Bitcoin Gold. And jumped around 20x in value this year — Bitcoin is now worth over $10,000. The cryptocurrency, which crossed the milestone for the first time since its creation in 2008, surged past $10,000 on Tuesday evening as it climbs toward $11,000, according to research site CoinDesk. Bitcoin has spiked 933 percent since the beginning of the year, when it traded at $968.23, reports the Wall Street Journal. The Ubuntu announcement that dominated the year — This has been, personally, a very difficult decision, because of the force of my conviction in the convergence future, and my personal engagement with the people and the product, both of which are amazing. We feel like a family, but this choice is shaped by commercial constraints, and those two are hard to reconcile. Cyanogenmod became Lineage OS — A new fork of CyanogenMod called Lineage OS is taking up the mantle, and it will keep most of what you loved about CyanogenMod. Sailfish carried on — Today it’s our pleasure to announce all the details for Sailfish X, aka Sailfish OS for Sony Xperia X! Android took a step towards solving the updates problem — With Android O, we’ve been working very closely with device makers and silicon manufacturers to take steps toward solving this problem, and we’re excited to give you a sneak peek at Project Treble, the biggest change to the low-level system architecture of Android to date. Librem 5 funded — This Monday, 14 days early, we have crossed a historic milestone. Firefox OS officially died — Mozilla is shutting down its “connected devices” group, which was responsible for the failed smartphone operating system Firefox OS and, more recently, attempts to build the OS into devices like routers, streaming boxes, and even basic computers. Mozilla acquired Pocket — Pocket will join Mozilla’s product portfolio as a new product line alongside the Firefox web browsers with a focus on promoting the discovery and accessibility of high quality web content. Launched Firefox Focus — Firefox Focus allows you to browse the web without being followed by tracking ads which are notoriously known for slowing down your mobile experience. Project Common Voice — Voice is natural, voice is human. That’s why we’re fascinated with creating usable voice technology for our machines. But to create voice systems, an extremely large amount of voice data is required. Faced a lawsuit over their Yahoo deal — We recently exercised our contractual right to terminate our agreement with Yahoo based on a number of factors including doing what’s best for our brand, our effort to provide quality web search, and the broader content experience for our users.